Gift set for your beloved cat. 1. 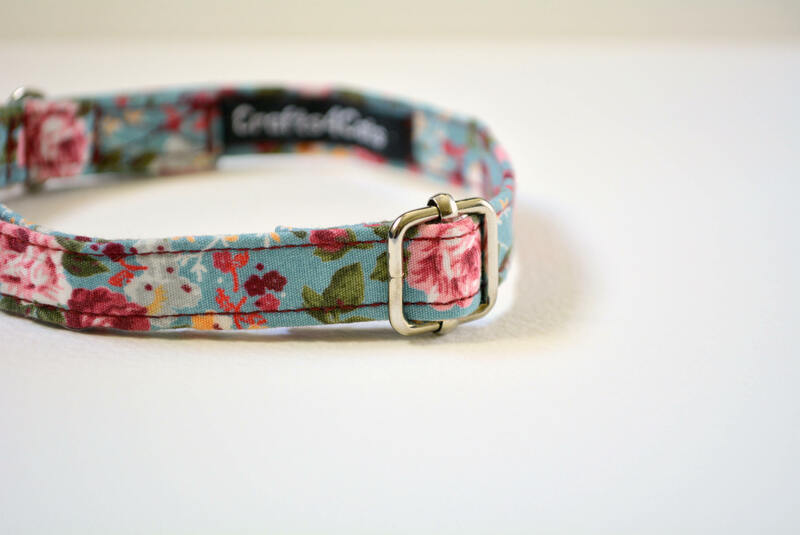 A collar with a breakaway buckle, & a metal length adjuster. 3. 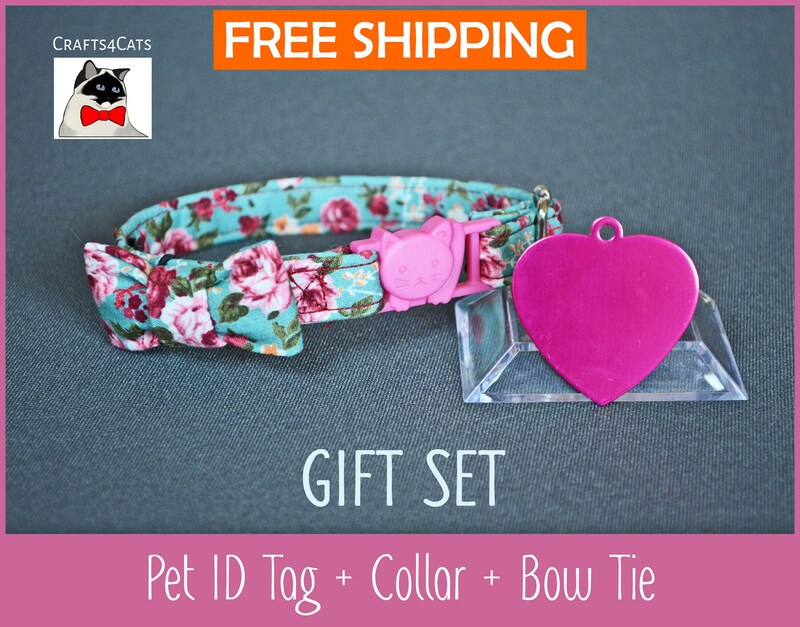 A customized heart pet ID tag* - in pink. Size 36x37mm. If you don't want a heart, can substitute with another style e.g. bone, circle. 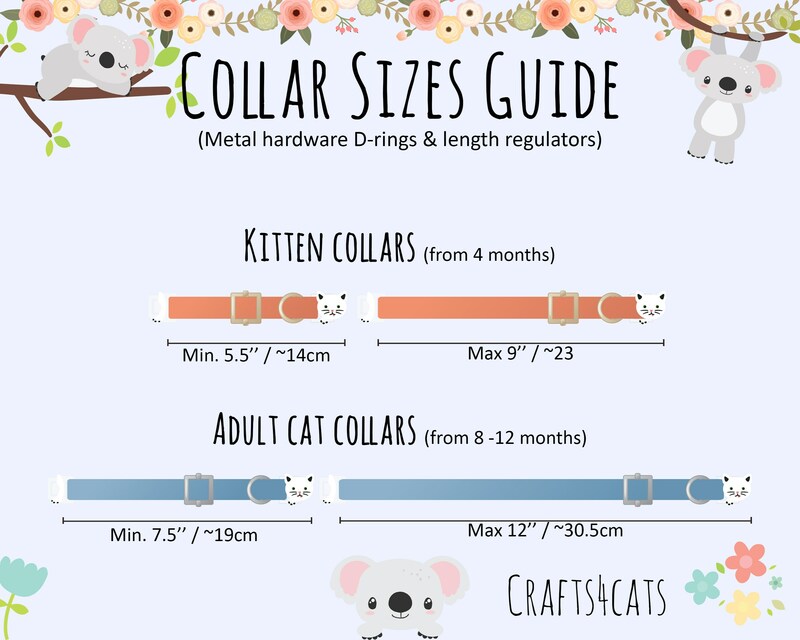 The collars are adjustable as indicated on our "Cat Collars Size Chart" - see photos. Kitten: 4 cm / 1.5"
Adult: 8 cm / 3"